Super cute and so easy to make! 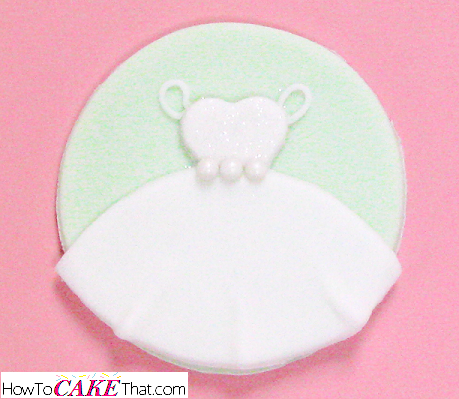 These wedding dress cupcake toppers are sure to please any bride-to-be! 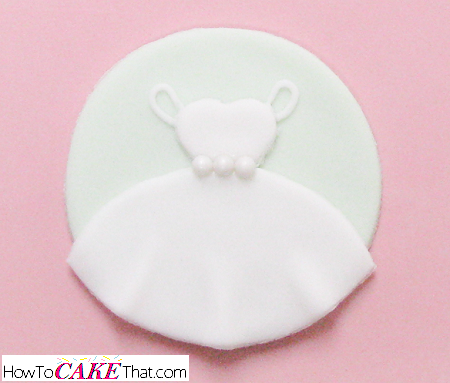 If you are planning on making cupcakes for an upcoming bridal shower, check out how easy it is to make these adorable toppers! Note: These toppers will need a little time to dry. So plan ahead! 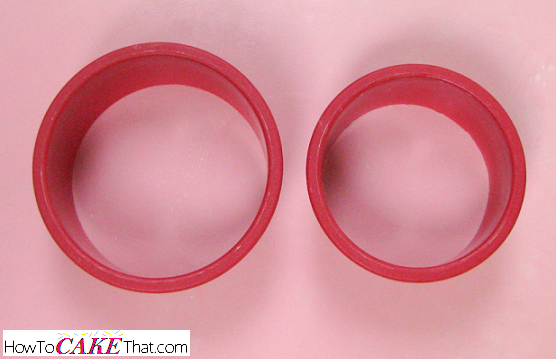 For this tutorial, we will begin with two circle cutters. 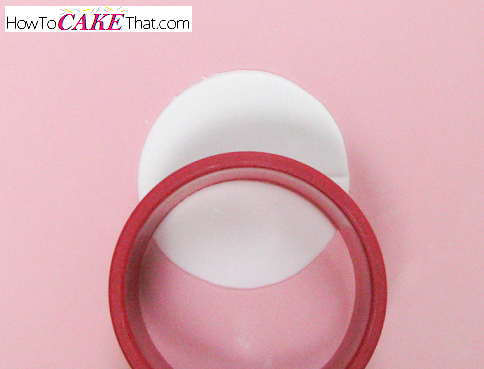 You will need one circle cutter for the size of the fondant/gum paste disk. Then you will need another circle cutter one size larger. The larger one will be used for the dress. 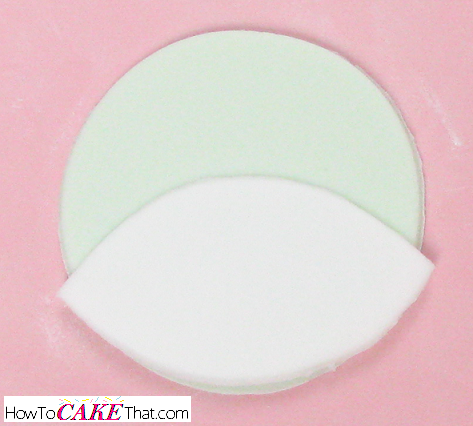 First, you'll need to mix a 50/50 blend of fondant and gum paste. 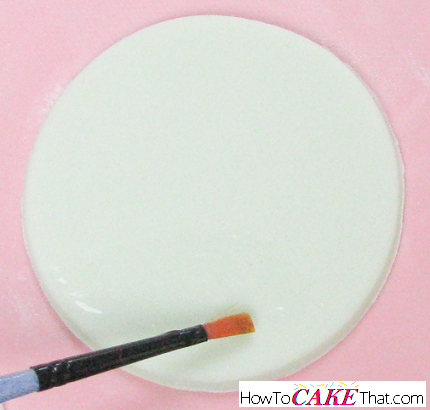 Color your fondant/gum paste mixture with gel food colors. Remember, these disks will be the background behind the wedding dress. 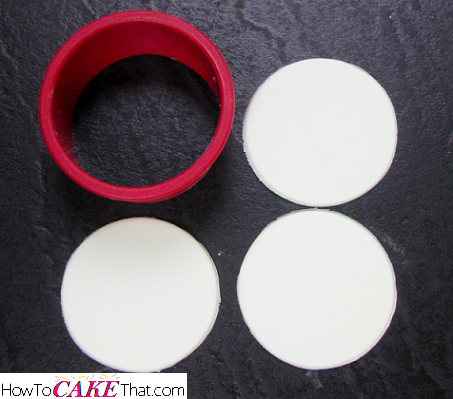 Roll the fondant/gum paste mixture and cut out enough circles for the amount of toppers needed using the smaller circle cutter. Allow to dry overnight. After the background disks have dried overnight, it's time to make the wedding dress! 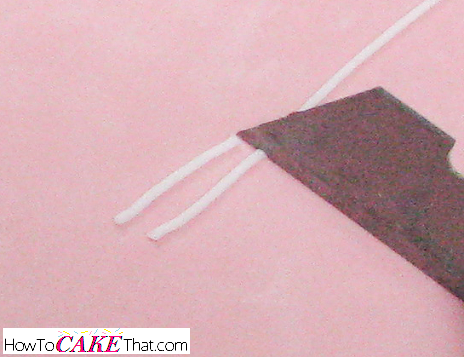 To do this, roll out fondant until it is thin. Be sure fondant isn't so thin that it's see-through. 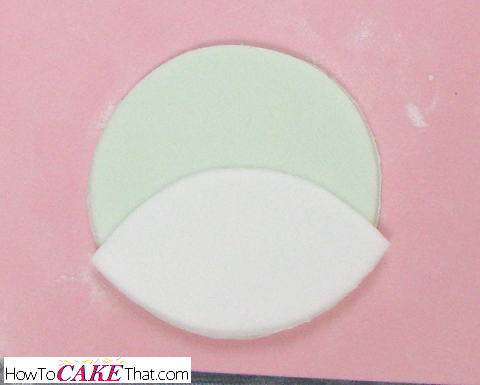 Using the large circle cutter, cut out fondant circles. 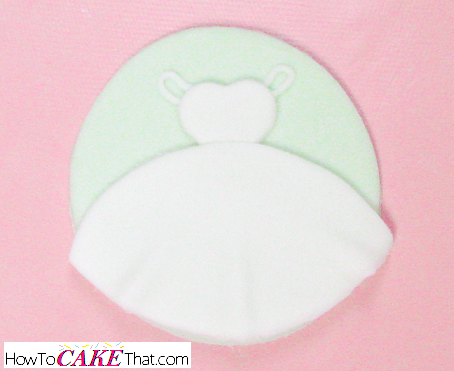 You will only need to cut out about half of the number of fondant circles compared to the number of background disks because each dress circle will create two dress bottoms. 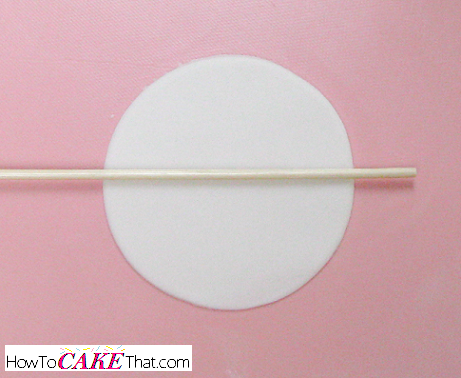 Using a bamboo skewer or the dull side of a butter knife, gently press into the large fondant circle to leave a light indent marking the halfway point. 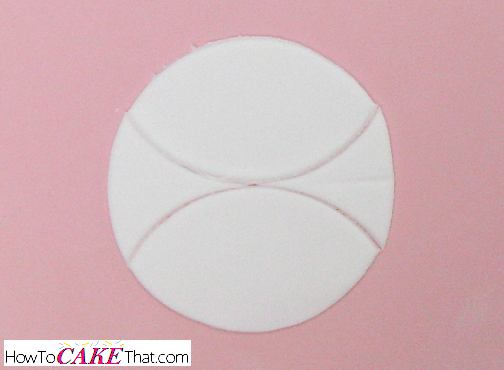 Using the large circle cutter, cut away a piece of fondant just below the halfway line. Repeat cutting on the opposite side. These two pieces will be dress bottoms. Place a dress bottom on the dried background disk to estimate where water or sugar glue will need to be painted to adhere it to the disk. 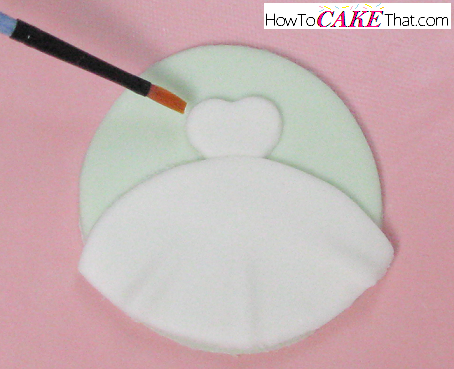 Remove the dress bottom and paint water or sugar glue on the disk where the dress sat to adhere it to the disk. Place dress bottom back onto the disk. Now it's time to add ruffles to the bottom of the dress to give it a fabric-like appearance. Slide a skewer just under the dress bottom, between the disk and the dress. 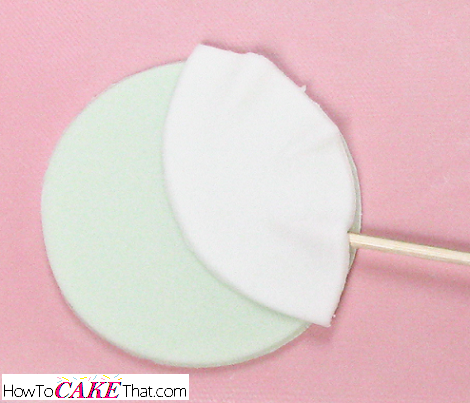 Using your fingers, press the fondant down on either side of the skewer to make the ruffle stand up. Remove the skewer. 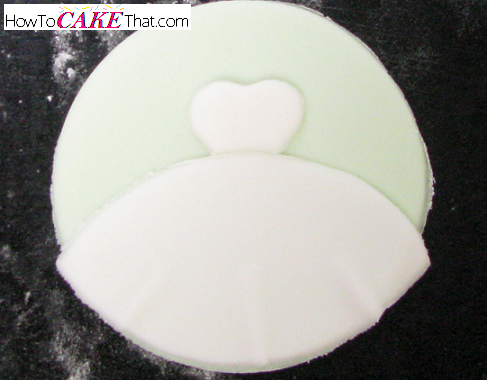 To make the top part of the dress, roll out fondant and cut with a heart cutter. Next, remove the bottom of the heart using the large circle cutter. 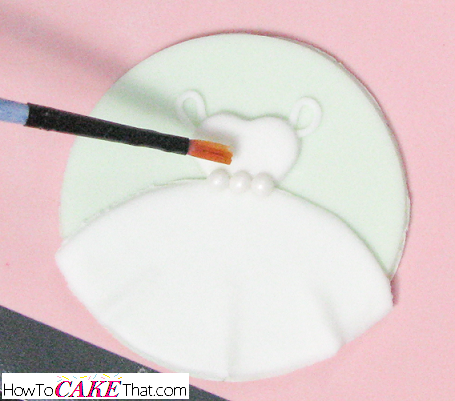 Attach the top part of the dress by painting the underside with water or sugar glue. The dress can remain strapless, or you could attach tiny little fondant straps. To make evenly sized straps, I used a clay extruder gun fitted with the tiniest round disk. 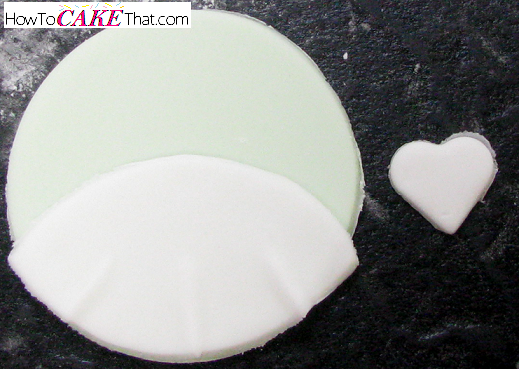 I pressed fondant through the disk and cut the straps with a razor blade to give them a nice clean cut. To attach the little straps, brush a little water just on the area of the dress where the ends of the straps will be sitting. Place the little straps on the dress. I used my bamboo skewer to shape them and press the ends into the dress to make them stick. 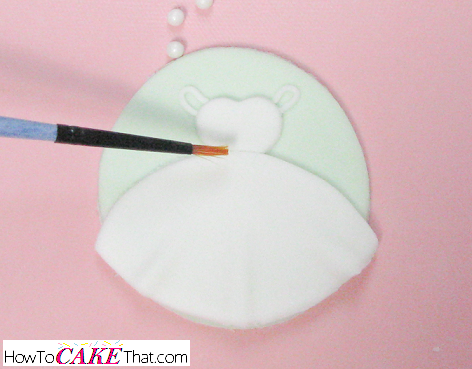 To hide the seam where the top and bottom of the dress meet, brush the seam with water and attach sugar pearls. Place sugar pearls across the seam and lightly press into the dress. Now to add that final touch to make it sparkle! Brush just the top part of the dress with water. 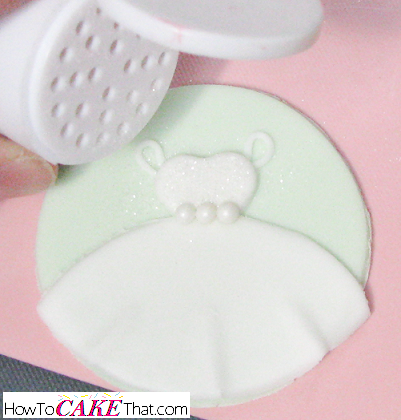 ...and sprinkle the top of the dress with white Disco Dust! Allow topper to dry overnight. Using a soft brush, brush away any excess Disco Dust. 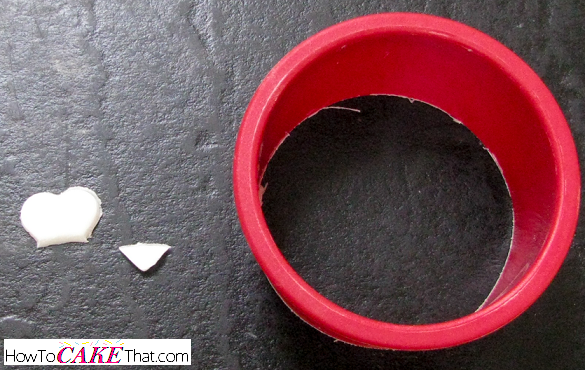 Trim up edges with an Xacto knife. And that's how you make this darling little topper! I hope you have enjoyed this tutorial! God bless!